Our family loves animals, but we stick to the semi-domesticated ones for pets—dogs, cats, birds and fish. In nearly every case, our dogs and cats have enjoyed classical music and many times have curled up underneath our music system to listen and fall asleep. But many kinds of animals—domesticated or not—seem to love and respond to music. The late Stewart Hulse, an experimental psychologist trained in the field of animal learning at Johns Hopkins University, found that starlings can recognize simple melodies in different keys. Other researchers have trained pigeons to distinguish the music of Bach from the music of Stravinsky. Mother and father penguins communicate with their babies through their own brand of music—they trumpet at the top of their lungs and their babies come running. Other animals use sounds and what appears to be music to communicate—dolphins use whistling and clicking to communicate with other dolphins; whales use sounds that resemble songs to communicate with other whales, and elephants use very low rumbling sounds to communicate with each other. 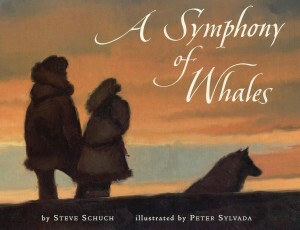 A remarkable true story about animals responding specifically to classical music is found in the book, A Symphony of Whales by Steve Schuch. In 1985 over three thousand beluga whales were trapped under the ice in the Bering Strait. There were not enough breathing holes and they were running out of food. The Soviet icebreaker, the Moskva came to the rescue, cut a hole in the ice and attempted to draw the whales out of their plight. In 2003, our family became foster parents to a family of five cats—a mother and her four babies. I played classical music for them several times throughout the day. About every two weeks I had to take them back to the SPCA to get checked and each time the veterinarian remarked that the kittens were much larger—by about 25 percent than their counterparts. I credited the classical music with their remarkable growth. They were also very happy, very social and engaging little guys and when they were old enough to be adopted, we included CDs of classical music for their new owners. My suggestion—try playing classical music to your animals—you will both benefit! So, what have you experienced with your animals and music? Music CD Suggestion: “Classical Dreams for Kids” (Rhino Flashback). 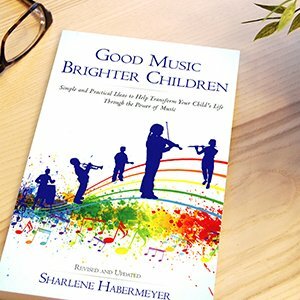 A great CD for kids and pets. « Did You Know We Live in a Musical Universe?